Formula 1 has announced that it will launch a new "global broadcast entertainment platform" with "A-list celebrity guests" by 2020. Events take place at city centers during the weekend of the 2020 F1 season. They will include celebrity performances, pre-filmed stunts and live music performances. Westbrook Studios and Apollo World Touring are collaborating with F1 on the new event. According to Formula 1 Management, the goal of the new offering is to deliver greater "fan engagement" and expand the sport's appeal. 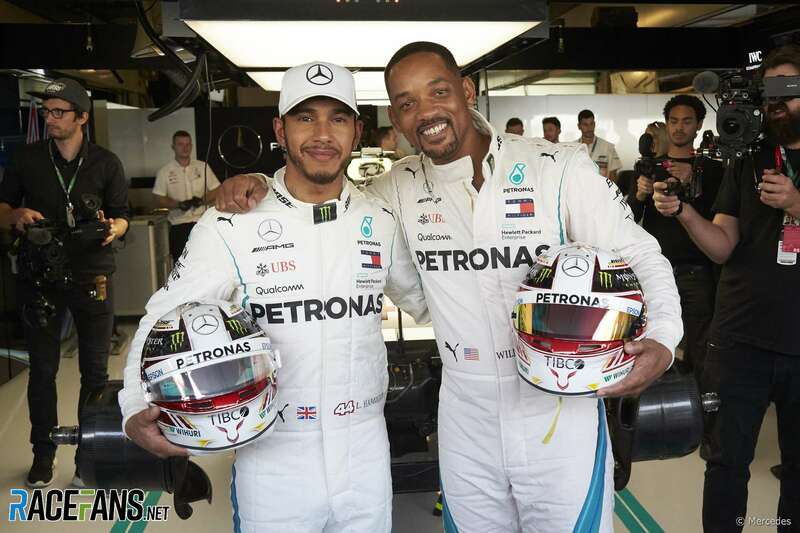 Last week, F1 and Westbrook Studios launched "Will Smith's The Bucket List," based on the actor's appearance at the 2018 Abu Dhabi Grand Prix. Smith, a co-founder of Westbrook, will be the executive producer for the new project. "I've always been a massive fan of Formula 1 world and fell even more in love with the sport while I shot an episode of" Will Smith's Bucket List "with Lewis Hamilton last year's Abu Dhabi Grand Prix," said Smith in a statement. "F1's commitment to creating engaging and inspirational content for its fans reflects our mission at Westbrook Studios. The synergy of our storytelling is undeniable, and I am thrilled by fans to participate in this wild game." F1's CEO of commercial operations Sean Bratches said the collaboration is "a great opportunity to attract even more power to the F1 and Grands Prix around the world, engaging with an even wider audience."